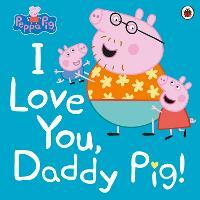 Have fun with Maisy in this interactive book from the multi-award-winning Lucy Cousins. It's so nice to give your friend a present at Christmas time, don't you agree? Maisy thinks so! When she comes back from her shopping trip, she has presents for everybody! Help Eddie, Charley, Talullah and Cyril unwrap their wonderful gifts by lifting the flaps. Then help choose a special present for Maisy by turning the wheel - what surprise will she get? Or what surprise will you get, all for yourself? You didn't think Maisy would forget you, did you? 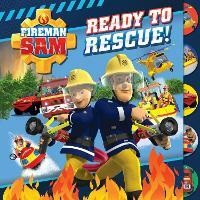 Visit Maisy's amazing website - www.maisyfun.com - for activities, newsletters, games and more. 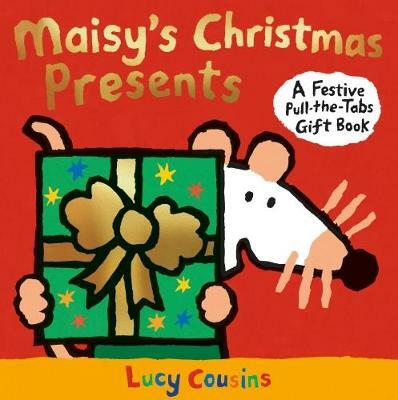 Lucy Cousins is the multi-award-winning creator of Maisy. 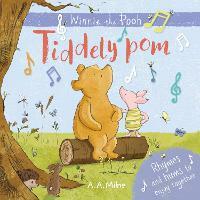 Her unique titles fascinate toddlers with their child-like simplicity, bold outlines and vivid colors. "Maisy does things that children all over the world do", Lucy Cousins says of her superstar mouse. "The way she dresses, the way she acts, are typical of children all over the world." Lucy Cousins works from her home in Hampshire, England. Other titles include the Smarties Book Prize-winner Jazzy in the Jungle, Hooray for Fish! - which now appears in animation in Japan; the bestselling New York Times Top 10 Best Illustrated Children's Book Yummy; the critically acclaimed I'm the Best; and more recently Peck Peck Peck, which won Best Picture Book in the Booktrust Best Book Awards, as well as the British Book Design and Production Award in the Children's Trade category.